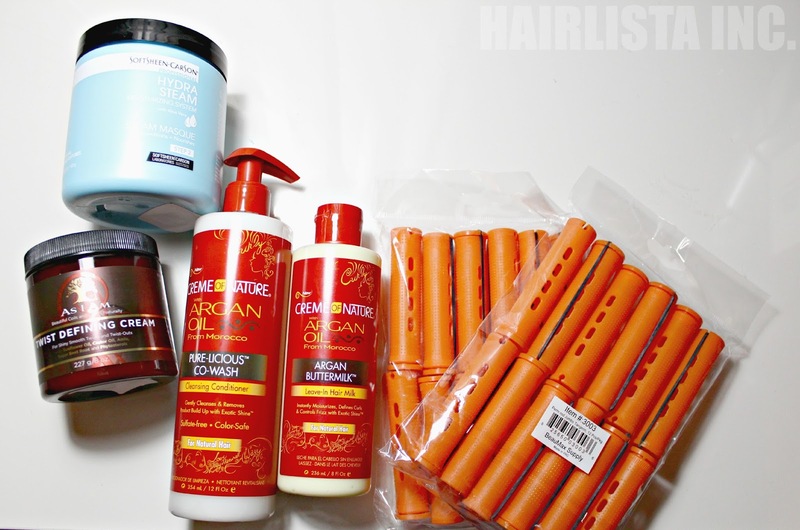 Product Haul: Creme of Nature, As I am, and More... - Hairlicious Inc.
With that being said, I grabbed two sets of perm rods (used them to create Heat Free Curls) and while I was walking down the isle, I noticed the new Creme of Nature Argan Oil Co-wash and Buttermilk leave-in. I just had to get it! Threw it right in the basket. Though it's geared towards natural hair, I'm anxious to try them out to see how my relaxed hair reacts to them both. Maybe you're the same way, but I always have to feel a little bit of the product on my fingers just to see how it feels. The Buttermilk leave-in feels very smooth and slippy, which should help with detangling and smoothing out cuticles/tangles. So...we'll see!!! A review on each product will follow! What product haul have you done lately? What did you purchase and why ? Love the twisting cream as well! Got New Shears - Hoshi Shears! Relaxer Day Details + Results! Wash Day - Perm Rod Curls!